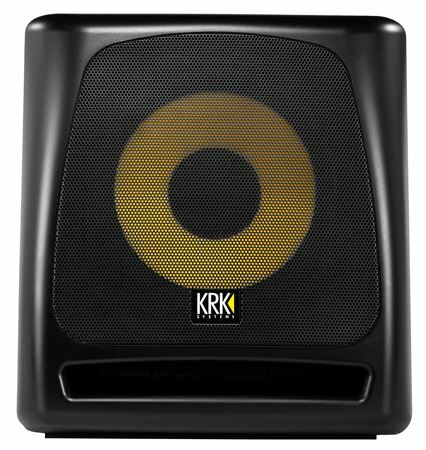 Shop KRK 10S2 V2 10" 160 Watt Powered Studio Monitor Subwoofer from AMS with 0% Interest Payment Plans and Free Shipping. Custom-voiced, the KRK 10S2 powered studio subwoofer features a glass-aramid woofer which delivers a tight, defined bass, while the Class-D powered Amplifier dramatically increases transient response, control and punch, allowing you to properly engineer the low-frequency portion of the mix. The four-position selectable crossover makes it easy to adjust the subwoofer setting to your existing monitors. 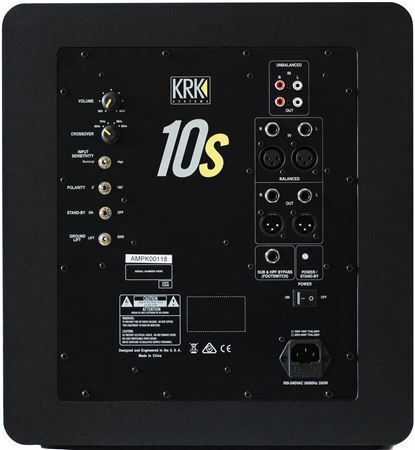 Pairing the 10s with KRK or another studio monitors delivers an optimized listening and mixing experience with extended low end, while the exclusive bypass-control feature provides full range audio to the monitors if needed, without switching off the subwoofer. KRK monitors are the professional’s choice for mixing and mastering for over 25 years. Now you can enhance their natural power with new S-series 10” subwoofer that extends KRK's legendary accuracy to the limits of human hearing. Whether you are mixing in a 2.1 or 5.1 surround environment or need to upgrade the low-frequency extension of your existing monitors, the KRK S-series provides the low frequency detail and accuracy that supports creating a rich, vivid, professional mix. Controls: Volume, Crossover LPF/HPF (60Hz, 70Hz, 80 Hz, 90Hz), Input Sensitivity (Standard and High), Polarity (0 or 180 degrees), Stand By (on/Off), Ground Lift, sub and HPF bypass (with footswitch only)"
An awesome piece of equipment! This subwoofer delivers powerful and deep bass without any distortion..just a well built product! This is a true sub woofer, it brings out the lows clearly in my studio, before I wasn't able to hear lows, now I am loving it, my whole house shakes...even with it on low, if you have a pair of krk monitors and want more low end grab yourself a krk 10s. I got this sub to go with the Rockit G3 monitors and it’s a match made in heaven!!! Now the Rockit G3’s already have some thump but when you add this sub it takes it to another level!!! Definitely get the pair if you can because you won’t regret it! Great product. I wish I got this sub bass earlier. It makes a huge difference in my mixes. Best thing that I purchased to enhance the sound of my studio. This sub gives me the lows that I was looking for. AMS payment program made it possible.